simply, because we want to be! 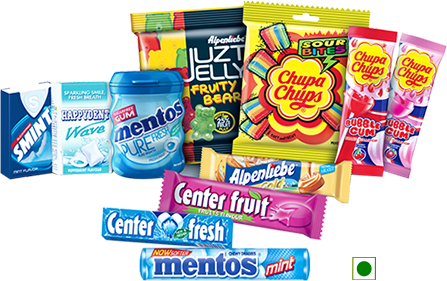 At Perfetti Van Melle India, we have a range of career prospects across the nation. Find out more about the available opportunities and apply online. Find out about the opportunities and experiences some of our people have enjoyed at Perfetti Van Melle India. I joined erstwhile Van Melle Confectionery in the year 1999 as Vice President Finance & Company Secretary. The initial period was exciting as I was involved in the acquisition of land for the factory from 50 farmer families having more than 100 individual owners for setting up the green field factory at Chennai. In 2001, the Global merger of Perfetti& Van Melle happened and I got the opportunity to Head the operations for South in a general management role. In March 2006, I moved to the Corporate Office in Gurgaon as CFO. In between, I also had the opportunity to oversee Bangladesh operations for six months. Apart from the functional responsibilities I have also had the opportunity to head other functions like HR, M&E, etc. for brief periods of time. Presently I have been given the opportunity to work in a Regional role at our regional headquarters in Dubai. PVM India is an organisation that is transparent, has an open culture and respect for individuals. The leaders always provide the opportunity to each individual to work independently & showcase their talent. Good performers are always rewarded with internal & global opportunities. The company is driven by the want for success & is constantly innovating to drive efficiency & competitive results. An ideal employee at PVMI is one who is honest, sincere, hardworking, innovative, and adaptive, is team player, and has the ability to take risks. I would like to invite you to come and explore the opportunity of working with a world- class organisation like Indikasi aciclovir salep PVMI. If you are looking at having serious fun, this is the place! It helps, of course, that while having fun you deliver work that others benchmark themselves with. Innovation and fun are the two words that describe the company the best. In 2001 when I joined as a management trainee, PVMI was a relatively small FMCG with about 250 CR turnover. My journey has been fabulous since then. The company is now one of the most respected FMCGs with a strong leadership position in confectionery. Learning is immensely helped by change and that is where PVM culture with innovation at heart comes into play. I started as sales manager in East and moved to West region subsequently. This was the time PVMI brought innovation to distribution by developing very relevant P1/P2/P3 model for those times. This was followed by an exciting stint in marketing where I worked on some extremely innovative ideas like a crocodile eating Alpenliebe. Post which I handled roles as Branch Sales Manager for North region and then moved on to a role which entailed setting up the trade/ shopper marketing team for the organisation. My current role entails giving strategic inputs for continuing and growing PVMIai??i? ?s leadership in the Indian market. Our brand building work remains iconic. Through my tenure with PVMI, I have been provided unparalleled exposure to the business and its nuances which gives me the confidence to handle any business challenge effectively. Having worked at Mondelez and ITC, the opportunity came up at PVM India for Associate Director ai??i?? Trade Marketing, which is a part of the Sales Leadership Team. PVM Indiaai??i? ?s market leadership in the confectionery category & itai??i? ?s vast distribution played a big role in my decision. I currently lead a diverse and geographically spread team of Trade Marketing Managers & Executives. Over the past 2 years, I have experienced Perfettiai??i? ?s open culture & itai??i? ?s ability to experiment, while moving quickly. The journey for me has been interesting as I have been able to make an impact via rolling out key initiatives – channel programs, front line people incentives and in-store execution excellence. Perfettiai??i? ?s global presence is felt significantly, with key projects being run across countries. My own perspectives have expanded due to being involved in multiple such projects, which are a source of immense satisfaction. I can confidently say today, that Perfetti is an organization which believes in giving responsibility to professionals who want it and trusts them with resources to move ahead. The belief of ai???can-doai??i?? is a strong driver, which leads to each professional putting in their best. 15 yearsai??i?? ago, I started my career with PVM as an Executive-Production at the Manesar Plant. In my current role I head the Rudrapur plant and am responsible for the entire manufacturing operations at the plant managing the highest capacity volume in India. My journey from Executive to Unit Head has been great & exciting with a lot of challenges thrown in. I have learnt a great deal of coordination with other departments and have always been supported by my peers and supervisors. PVMI has always provided me opportunities for professional growth. I always feel proud to see the factory performing well in each aspect with highest tonnage production of 182 MT in a single day. PVMI offers me the flexibility of doing my work, and gives me an excellent work life balance. I respect the manner in which PVMI trusts and treats all its stakeholders, from employees and vendors/customers to legal authorities and society as a whole. I joined Perfetti in 2007 as a Management Trainee. This training ensured a birdai??i? ?s eye view of various functions. Post the management trainee period I took up the role of Sales Co-ordinator. This role exposed me to Sales Strategy and interfaced with Marketing. I also did a Sales Stint in Kerala and a short stint in the Go-To-Market team. 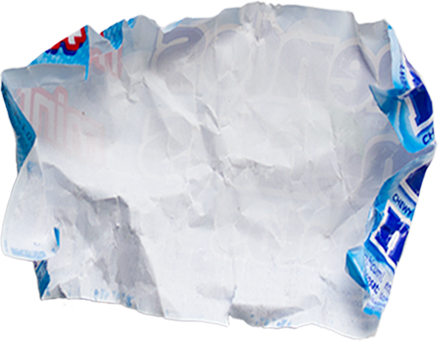 In 2012, I accepted an international stint to work on Smint and Mentos brands. In 2016, I moved back to Perfetti India, and currently work as Trade Marketing Manager looking to harness on my experience in the United Kingdom and contribute to the India business. Perfetti has given me the opportunity to high quality work. The organisation values innovation and initiative. During the course of my journey I have made some great friends whom I first met as colleagues! Perfetti as an employer has offered me continuous opportunity to grow as a professional. This has made it possible to interact and learn from the best in the industry. Working at PVMI is a great pleasure and a privilege. I started my career as Executive-Commercial and over the last 18 years worked in different roles which included Branch commercial operation, internal audit, Project Accounts & Plant Manufacturing Account. PVMI presents a great opportunity to grow as a professional. It is an organisation where employees are able to innovate and find different ways to perform their roles and activities in order to succeed. The experience of collaborating with various teams has been exciting, not only because of the high-quality activities but also due to the great working culture. We operate in a way that puts collective goals ahead of individual glory. We continue to succeed because we are a nimble organization that can rise to various business challenges. Our working culture encourages us to constantly deliver and be open to creative solutions. I joined Perfetti in 2005 as Sales Manager in Mumbai. As part of my current role I am handling sales and distribution for entire Mumbai Metro and Rest of Urban areas of Mumbai outskirts. Perfetti is a great organisation where one can think of pursuing a long term career. Within the confectionery industry it is the only company which is present in all segments of confectionery. The organisation has vision of business with clear long term and short term plans. From a sales point of view, the organisation has excellent systems and processes. Over the last 2 years, I have been given the opportunity to handle multiple tasks which required me to interact a lot with my cross functional colleagues as well. Overall Perfetti is a great workplace where one gets a number of learning opportunities to enhance oneself personally and professionally.